I’m proud to be working for African Initiatives, and with such amazing partners. We arrive at Kilimanjaro airport on Sunday, and after a much needed rest, we leave Arusha City the following morning. Most people in Arusha are dressed in modern clothes, but occasionally you spot a Maasai man wearing full traditional dress – their bright red, blue and purple fabrics make them easily recognisable. The tarmac road quickly becomes a dirt track as we head north towards Loliondo. The landscape turns into beautiful green plains with mountains peaking in the distance – I now understand even more why the Maasai are fighting so hard to stay on their ancestral land. I see my first wild zebra, gazelles, wildebeest and a lot of goats and cows. We pass several Maasai ‘bomas’ – a few little huts within a fenced compound for each family. They are quite spread out from one another, and in between are people tending to their herds of cows and goats – mainly men and boys, few women or girls. The land is dry and I fail to see a single river bed with water in it. Concerning for the middle of rainy season! As daylight draws to an end, we pass through villages of Sonjo, an agro-pastoralist tribe who wear greens, yellows and pinks instead of the distinctive blues and reds of the Maasai. The next day we set off for Emanyata Secondary School and the rain makes the roads almost impassable. Emanyata is miles from anywhere. 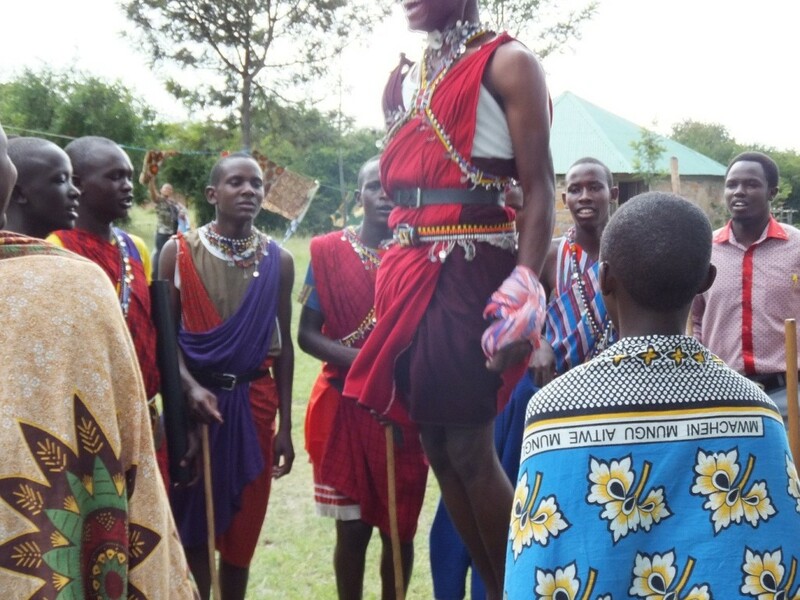 On arrival I am treated to several touching performances of singing, dancing and poetry, including a traditional Maasai dance in which the boys jump as high as they can whilst the girls shake their shoulders up and down. I meet the Head Girl of the school and the leader of the Girls’ Club. They are two of the sweetest girls I have had the pleasure to meet and we speak at length about their lives until they have to go for dinner. They wash their bowls and queue up to get some beans and a huge bowl full of Ugali (maize flour mixed with water, very little flavour!). As it is raining, they eat in their dormitories rather than outside. On Thursday morning we drive to Bulati village to visit one of the Song and Dance projects, where the importance of education is being promoted through traditional song and dance. The village is in the middle of nowhere; it feels like there is no one else around for miles. When we arrive, the school children run towards the car, touch our hands, and then run off giggling excitedly. The teachers are dressed in big coats, woolly hats and scruffy clothes – not like teachers at home! Outside the whole school is sat on the grass, in front of chairs set out for us. The teacher addresses them in Swahili and none of them makes a sound. So different from when we first arrived! 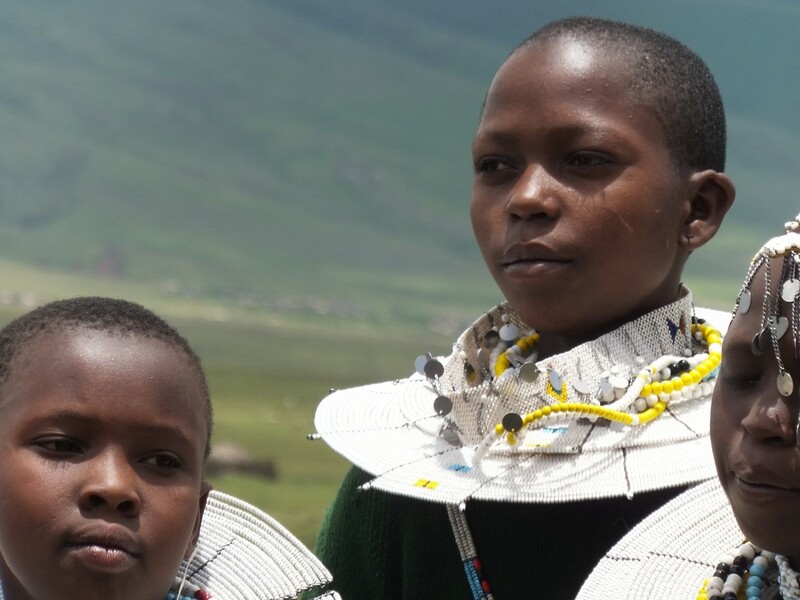 A group of girls starts singing in one of the classrooms and dance slowly out towards us, wearing school uniform with white Maasai beaded jewellery around their necks and on their heads. They perform songs about the importance of girls’ education, and are applauded loudly. I speak to two of the girls who say they are so proud to be part of the project and that they are really starting to see a change in community attitudes towards their education. With still another week to go visiting projects in Arusha, it has been an incredible week. Hearing stories of girls fighting for their right to education, the changes that are happening in communities, and the gratitude of many for the work that African Initiatives’ partners are doing. For me, this trip has truly reaffirmed the importance of working with local partners. The vital work that is being done in these communities would not be possible without their acceptance of our partners. The staff of PWC are well networked, hardworking and highly respected. I’m proud to be working for African Initiatives, and with such amazing partners.